Jhaltola was a tea estate during the British period. 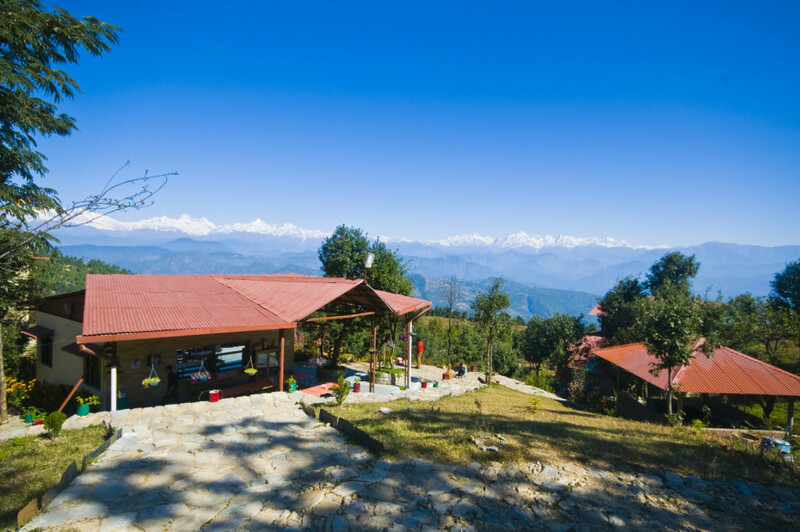 It is a beautiful place to unwind relax with the scenic Himalayas. The views of the snow capped Himalayan ranges are the major highlight here. The Garhwal Himalayas on the left to the Kumaoni Himalayas from the Nanda ghunti to the Panchachuli and the Aapi Nampha peaks of Nepal Himalayan range in the right are visible. For bird lovers, over 200 species of birds can be seen here, from varieties of eagles like golden, mountain, hawk etc to owls like asian barned, scops, etc, woodpeckers, thrushes, babblers and more. The area is entirely nestled in a thick forest so one can explore a lot by foot. There is a old Shiva temple on top of the hill called Lamkeshwar Mahadev temple. The uphill walk of 3kms has beautiful views. The other trek can be made to Chak Boraan a small village. Sunset views at Pokhar. It is a meadow with oak and rhododendron. Leopards and Barking deers can be seen here. Fishing - Fish Mahseer in Ramganga, drive of an hour and then trek 30 mins to a silent spot where you can fish. Jhatola is in Pithoragarh district. The nearest market in Berinag just 20km away. Jhatola is 180kms from Kathgodham. The nearest railway station is Kathgodham (10 kms away). Ranikhet express (departs from Delhi around 10:30 pm) and arrives at Kathgodam at 6 am early morning. Delhi - Jhatola is 455 kms away. Its better to break the journey at Kathgodham (275 kms) or Bhimtal (302 kms) or Almora (375 kms) away and then continue the next day. The entire journey may take nearly 15 hrs. The hills are steep towards the end of the journey, so have a talk with the resort guys about the vehicle you are traveling by. The only place to stay is Misty Mountains Jungle Retreat, a 1000 acre estate owned by Maheshwar Singh Rawat. Musk deer park 5 kms. You should have a 4 wheel drive to explore on your own. Make way to the Pokhar plateau to view the sunset. The sunset is beautiful as the orange yellow lights up the Nanda devi peaks, which shine with opulent beauty.